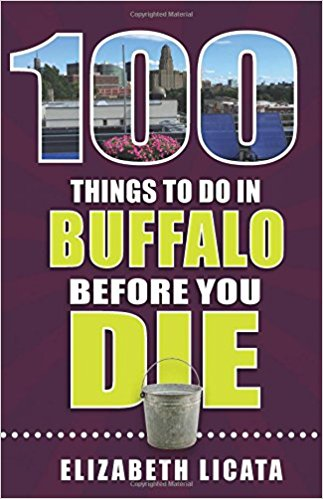 If you think you've done everything there is to do in Western New York, think again! It's time to discover Buffalo, a city that combines the sophistication of the Northeast with the affability of the Midwest. From world-class modern art to the world's best chicken wings, Buffalo offers visitors a rich banquet of intriguing history, iconic architecture, abundant recreation, lush scenery, fun food, and relentless nightlife. Stand in the mist of Niagara Falls, kayak the Buffalo River, stroll through a neighborhood of Victorian homes, eat at a downtown hot spot, and finish up with a dose of blues, Americana, chamber folk, jazz, or alt-rock. With a cityscape featuring masterpieces by Frank Lloyd Wright, H. H. Richardson, Louis Sullivan, and Frederick Law Olmsted, Buffalo is a nonstop visual feast. Its institutions include some of America's oldest and most distinguished, founded by the industrialists who helped build America.